Join the Rocky Rockstar Tribe now to stay informed of the pre-release date of the book! We use IP addresses to analyse trends, administer the site, track user’s movement, and gather broad demographic information for aggregate use. IP addresses are not linked to personally identifiable information. Additionally, for systems administration, detecting usage patterns and troubleshooting purposes, our web servers automatically log standard access information including browser type, access times/open mail, URL requested, and referral URL. This information is not shared with third parties and is used only within this website on a need-to-know basis. Any individually identifiable information related to this data will never be used in any way different to that stated above without your explicit permission. You may create a link to any page of this website without our prior written consent. If you do create a link to a page of this website you do so at your own risk and the exclusions and limitations set out above will apply to your use of this website by linking to it. We do not monitor or review the content of other party’s websites which are linked to from this website. Opinions expressed or material appearing on such websites is not necessarily shared or endorsed by us and should not be regarded as the publisher of such opinions or material. Please be aware that we are not responsible for the privacy practices, or content, of these sites. We encourage our users to be aware when they leave our site & to read the privacy statements of these sites. You should evaluate the security and trustworthiness of any other site connected to this site or accessed through this site yourself, before disclosing any personal information to them. This website will not accept any responsibility for any loss or damage in whatever manner, howsoever caused, resulting from your disclosure to third parties of personal information. Copyright and other relevant intellectual property rights exist on the full content of this website. Refer to the Copyright Notice. Yes, let me know when Rocky Rockstar is released! The Adventures of Jessie and Rocky Rockstar are stories about the coolest little dog in the world, Rocky Rockstar. He’s a rescue puppy we got for our beautiful daughter Jessie. Since he became part of our family, life has been incredible. He’s a crazy, loveable, cross between a foxy, Staffy and cattle dog that looks like a tiger. You will fall in love with him at first sight. The stories you will read are about the emotional bond and love between an adorable pet and loving child. Each story has a core message how we can all help and look out for one another. Cool messages you can share with your loved ones. Each story will leave you feeling connected as you become part of our family and fall in love with Rocky Rockstar yourself. You'll enjoy the adventures and messages in each story. This is the really exciting part of creating a children’s book...the illustration process. For me it started with how I wanted the reader to feel when reading my books. 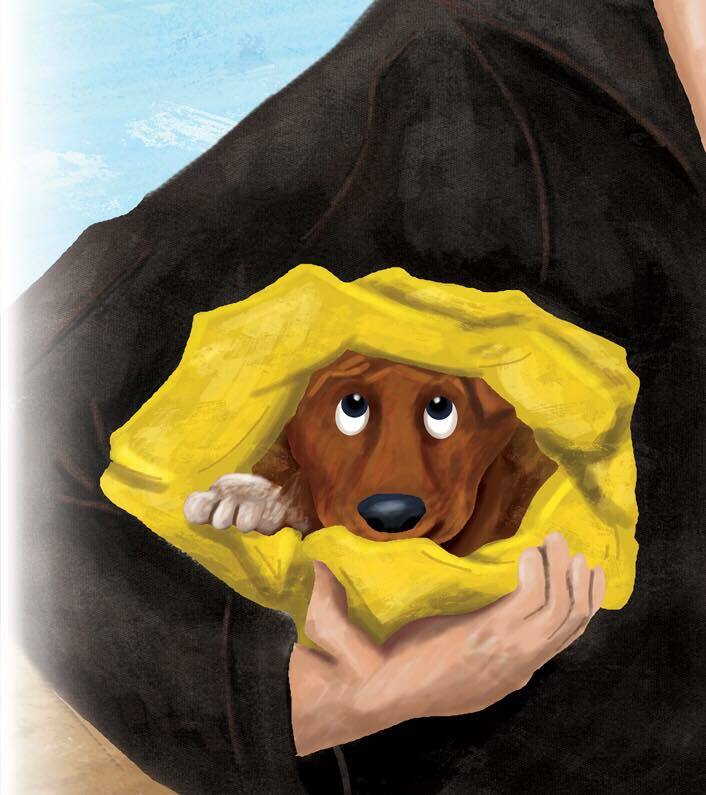 The first book in my children’s series The Adventures Of Jessie and Rocky Rockstar, is called Rescued, and had to capture a readership that can grow with the series. So the illustrations had to be colourful, vibrant and capture attention, with a solid branding of the characters and their defining qualities that make them stand out. See how the illustration cycle works by downloading it below.